If you’re after a no-nonsense desktop PC that has just enough grunt to tackle most of the games you’ll want to play this holiday season and just enough upgradability to be viable over the long term, the Dell Inspiron 5675 Gaming Desktop is absolutely worth consideration. There’s a lot to get excited about when it comes to the higher, more-expensive end of the PC gaming world. After all, who doesn’t like to see the boundaries of technological possibility pushed to their limit. That said - much like the sub-$500 smartphone crowd, there’s something almost more interesting to watch that unfold when it comes to the more modest side of the gaming PC market. For every enthusiast out there willing to spend thousands on building the prime evil of personal computers, there’s a cash-strapped student who just wants a PC so they can play the big releases of the year without paying an arm and leg for it. For every Samsung Note 8, there’s a Huawei Nova 2i. I should know. Not too long ago - that student was me. Back then, had I been given the chance to test-drive it, I probably would have come away pretty impressed with the new Dell Inspiron 5675 Gaming Desktop. 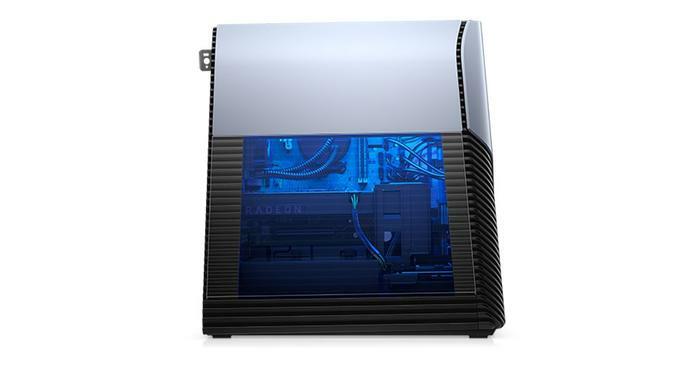 Announced at this year’s Computex, the Dell Inspiron 5675 Gaming Desktop boasts a Polar Blue LED design, the latest AMD multi-core Ryzen processor (boosted by AMD’s SenseMI tech for additional performance and clock speed optimisation), a potentially VR-ready graphics card (your pick of either an AMD Radeon 560 / 570 / 180 or Nvidia GeForce GTX 1050 / 1060), up to 32GB of DDR4 RAM, a built-in cooling solution, 850-watt power supply and Waves MaxxAudio Pro with Performance 7.1 Channel HD audio. It’s also packing your standard gaming configuration of lean M.2 SSD (128GB/256GB/512GB) paired up with a heftier 1TB hard drive. The review unit we tested relied on a AMD Ryzen 7 1700X, AMD Radeon RX 580 and 8GB of RAM for the bulk of its grunt. 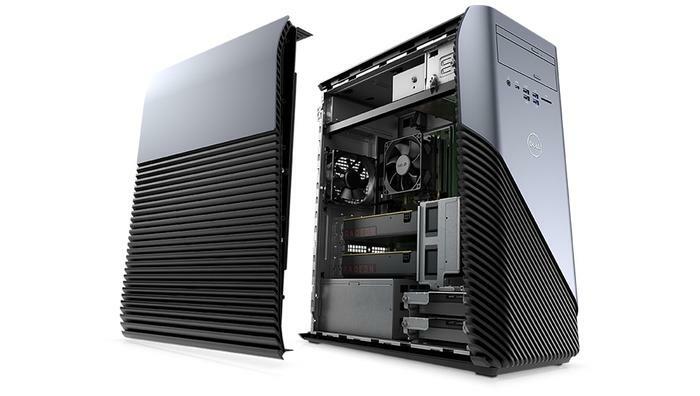 A desktop PC in the most classical of molds, the Dell Inspiron Gaming PC walks the line between the tall, professional looking towers that the company are known for and the transparent LED-laden rigs of enthusiasts. Despite being a gaming desktop made by Dell, it’s actually surprisingly far from their Alienware lineup in terms of aesthetics. It strikes a clean and casual silhouette, with the only really notable visual features being the Polar Blue LED backlight behind the Dell Logo. There’s also an easily removable side cover, which provides easy access to the guts of the thing, should you need it. There’s a welcome sense of scalability here. The Dell Inspiron Gaming PC feels like it’s been designed for easy upgrading and customization - which is smart. No matter what configuration you go for, that sharp-looking spec-sheet isn’t going to hold its edge forever. It comes with a second graphics card slot and supports a maximum possible 32GB of RAM. Dell do also offer an upgrade for the Inspiron with a transparent variant of this side-panel, should you “need” that.